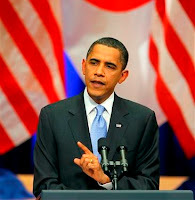 The United States president, Barack Obama, is being asked to take a look at the crisis in Fiji. The suggestion has come from Luvei Viti (Children of Fiji), who've organised a petition calling on President Obama to help the people of Fiji. The petition urges Obama to condemn the recent signing by Fiji's United Nation representative, Peter Thompson, of diplomatic relationship under UN agreement with Cambodia and other similar states which have records of coup-de-tat-ism, human rights abuse, military dictatorship and abrogation of rule of law and constitution. "The situation in Fiji has gone on for too long and the degree of abuse or other maltreatment by this illegal regime must not be measured against other countries and the United Nations must bear in mind the Deed of Cession agreements that occured between Fiji's forefathersl where it secured their livelihood, their land and their traditions and culture. "For a group of settler societies to now come in and dictate via the coup leader, who is half Fijian and does not have much respect for the Indigenous Fijians Traditional Culture as was seen when he threw the 'valued Tabua or whales' tooth' back to his own Chiefs from his village in Kiuva, who went to ask him to end the Fiji saga. This in itself is a sign of arrogance and disrespect to the Fijians and their culture let alone his High Chief who Bainimarama had been noted to have commented, saying the Fijian people are 'stupid'. "As Fijian citizens, we have grave concerns for Fiji and the people by the prolonged state of Public Emergency Regulations, the silencing of seasoned and long-serving, trustworthy, respected, and democratically-elected leaders who now are being warned that they may not be able to run for the next parlimentary elections scheduled, too far away in 2010, a total of 08 years approx of Fiji being under military dictaorship. "We ask how can United Nations and the International Community not step in to assist the Pacific Island Forum within Fiji's Regional Neighbors and the Commonwealth who have publicly shown their position in not supporting the current Fiji illegal regime by suspending Fiji's membership. The question we ask, why then does the United Nation and other International Communities are standing back and allowing the current illegal regime in Fiji under the coup man, Bainimarama to have a free reign of Fiji until 2014 which is looking very bleak at this point in time. "Assistance are being given as we write by some International bodies to Fiji, and we now beg you all to reconsider your positions and try and view Fiji's problems taking a 'bottom-up approach' and assist in facilitating a qucik return to democrcay and rule of law. We believe the United States Government has the power to put pressure on other International Communities and in this instance United Nations in order that Fiji and its people may once again live in freedom and have the liberty to freely elect those they they wish to represent them in government and also reinstate the Fijian Great Council of Chiefs as these are the hallmarks of our Fijian Cultural tradition of which we are known for. "Reforms on land must not take place until a properly elected government is in place as this illegal regime are bent more towards the capitalistic and individual needs being forced by some in the Indian segment of our Fiji socitey. Thre is an urgent need to restore liberty, freedom and removal of threat to freedoms of speech and expression and the rights to fair judicial process, transparency, and legal representation. "As echoed by our fellow cambodians who are also fighting for similar rights we urge you Mr President to please speak up on behalf of our Fiji people because by your silence will mean continuous suspression of our basic and fundamental rights as free citizens of Fiji nation that once knew the beauty of Pacific Way which is now so abscent in our midst. Without your intervention some of our parents and grandparents and even mothers and fathers will never again taste that freedom. 'We beileve the United States is a powerful Nations and your Government is long reknowned to uphold its long-cherished values of freedoms of speech and expression and the rights to an independent and impartial judicial process, equality before the law, and legal representation. "We again seek your urgent help, Mr. President, to take a strong position and indicate or make a supporting robust statement against the the recent signing and aligning of Fiji together with other States that have questionable values on Human Rights and Rule of Law as well as upholding true democratic values which have seen Fiji moved upward at one point to be on par with nations around the world in its commitment to establishing economic growth that is conducive to the needs and culture of the Fiji people taking into account the signing of the Deed of Cession in 1874 where Fijian or First Nation People were given the understanding that their Lands, their Customs and Traditions will be forever protected." This is so ridiculous that I can't understand why you'd even bother to post it. As if Barack Obama gives a toss about what happens in Fiji. Sure, if the country was descending into chaos and was in the hands of murderers and drug barons, fine. But when you now have a standard of governance demonstrably better on almost every level from the SDL, why would Obama bother? More peeing into the wind. An invitation for Fiji to come out of the frying pan straight in deep into the fire.They are the behind the back silent big bosses behind the junta ur inviting to intervene. They will come in to speed things up for the one world order. The one that came up like a lamb but speaks like a snake. Poor Viti. Ur right on target. Ignorance is on a high. You do err for lack of knowledge. You have people fighting for you who have no light in them. Just playing right into their hands. Bye bye Viti. Different names and place - same situation. US Lands Force Commander Gen Mc Chrystal currently in open conflict (via media) with elected head of civilian goverment Pres Obama. Watch closely what they do - how they handle it? Hmmm..sound like the 03 comments above echoing the tune "Silencing of the Lamb"!! How arrogant can you all get when Fiji people need help. They cannot get help from NZ & Aussies as the coupman Bananaman thinks he is far greater than anyone in the Pacific. The PI Forum neighbors are too small to wage war against Bannanaman. Best they can do is 'Hang Bainimarama & his cronies' to hang dry!! Commonwealth has already kicked Bhananaman to the 'sin-bin'. That leaves the United Nation - but wait, UN themselves only formed since early 1940s is very much alongside the Indian way of thinking currently being echoed by Khaiyummy- Bannanaman's lady in waiting!! So that will not be a good choice seeing that already UN Fiji rep Peter Thompson has already started signing away Fiji by aligning with all the 'kokoroti (s) that are reknowned for ugly HR practices are have already been tagged by the world watchdogs. Hey its everyone's Right to seek help from anyone they deem have the appropriate means & power to step in. As one that is a Fijian, I would prefer to see Obama then to see other perverts coming in to resolve Fiji's problem. Or are you all being just simply racist! !